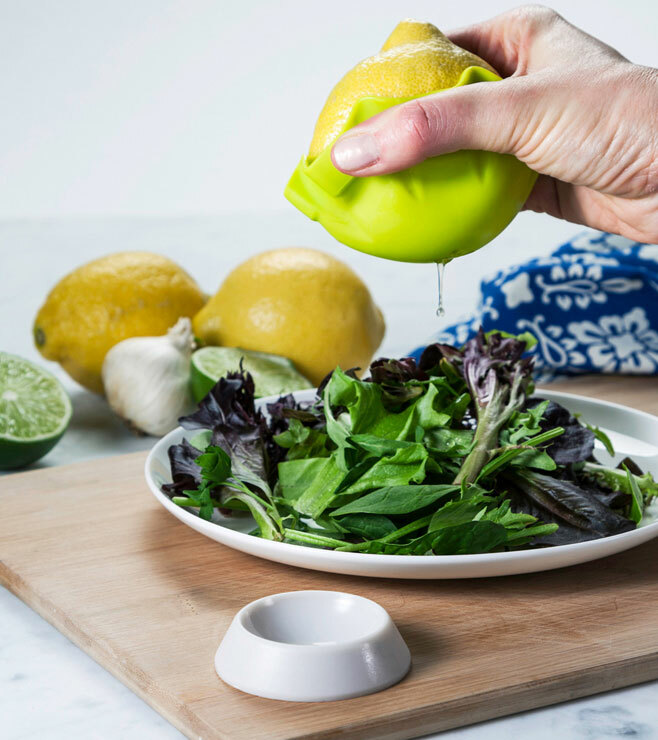 Neatly squeezes juice from lemons and limes while keeping hands clean and dry. Prevents seeds from falling in. 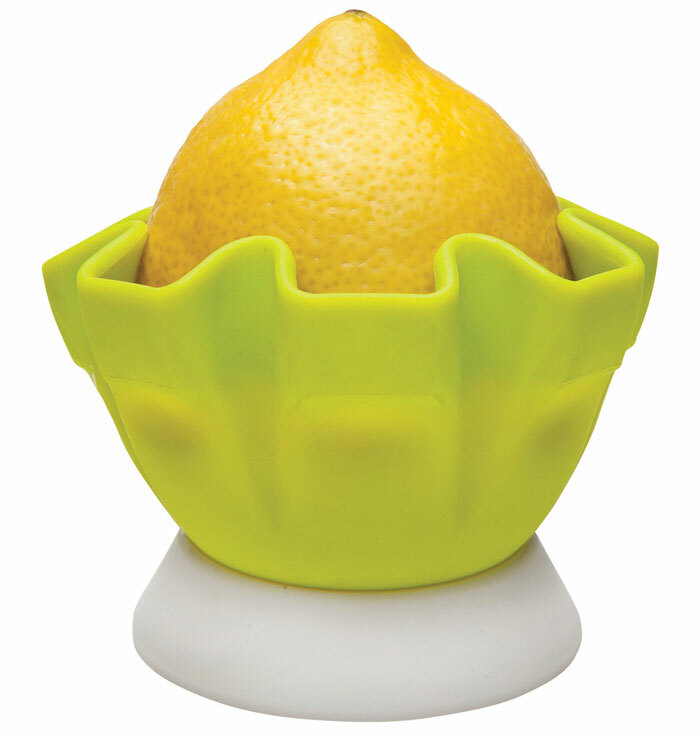 No need for any extra wrapping; store the citrus half in the Citrus Squeezer in the fridge. 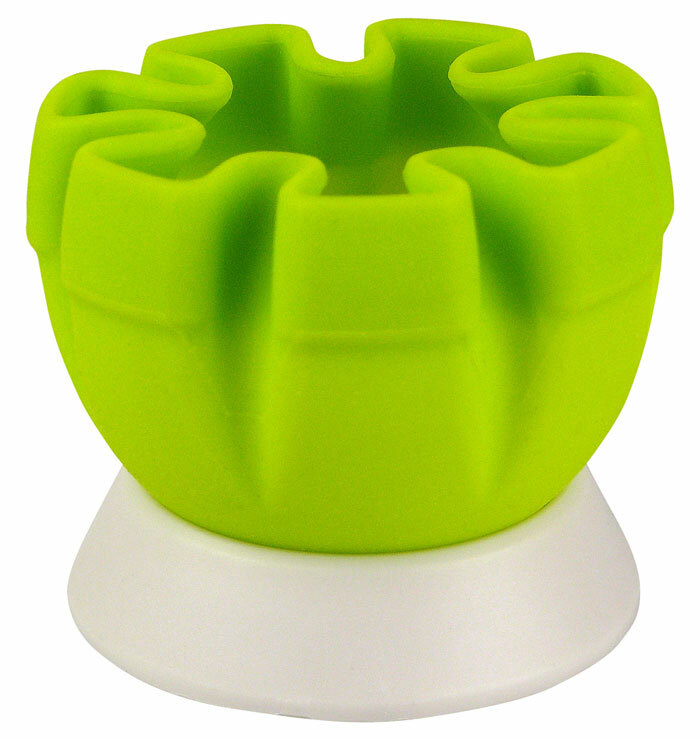 The included base prevents drips. 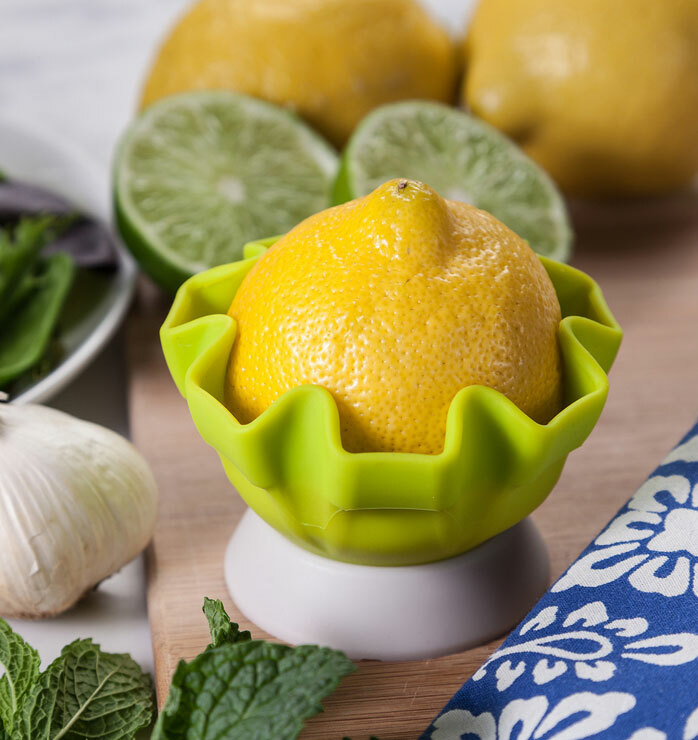 Ideal for serving fresh lemon juice at the dining table. 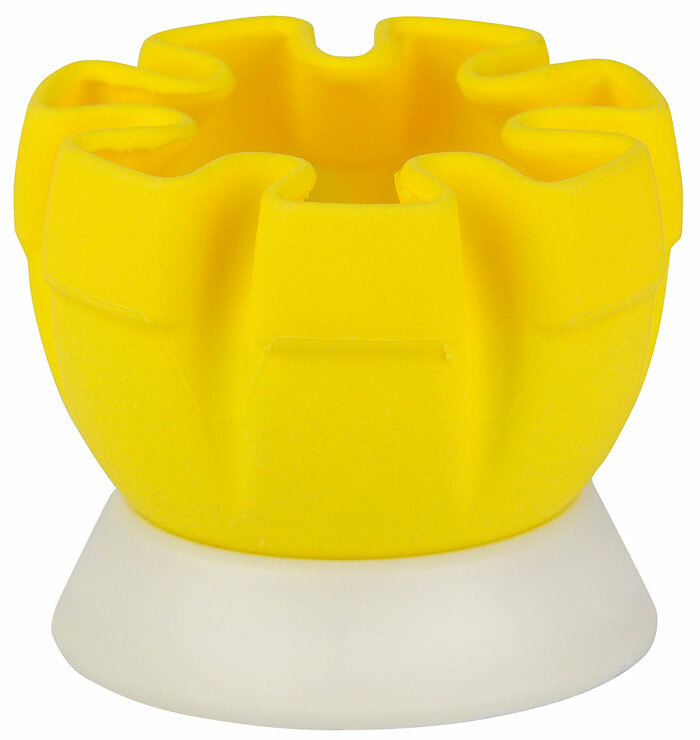 Material: silicone and polypropylene. BPA free.